This Hexagonal Mens Wedding Ring has angled hexagons covering the ring, each at a slightly different angle to sparkle from any angle. It can be cast in Sterling Silver, Palladium Silver, Rose Gold, Yellow Gold, White Gold, Palladium, and Platinum in sizes 4-15 and in widths 4-12. It would also be possible to add some small accents if the ring or the hexagons are wide enough. METAL OPTIONS: Sterling Silver, Palladium Silver, Rose Gold, Yellow Gold, White Gold, Palladium, and Platinum.The starting price is for a 6mm wide Sterling Silver Hexagonal Mens Wedding Ring. If you would like to see another Custom Wedding Ring style, click HERE. Click HERE to learn more about custom jewelry, to see our portfolio, or to contact us about a Hexagonal Mens Wedding Ring. 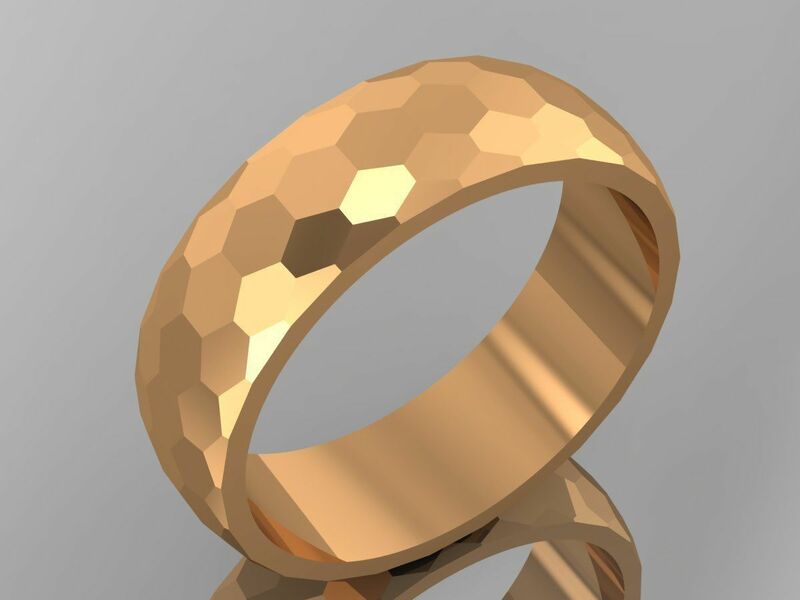 It can cost less than you think to have your very own custom Hexagonal Mens Wedding Ring made just for you. Why hassle with the retail stores for boring and overpriced wedding bands?